Have you ever tried to Send Emails to your future? If not, then you have to know about this website. 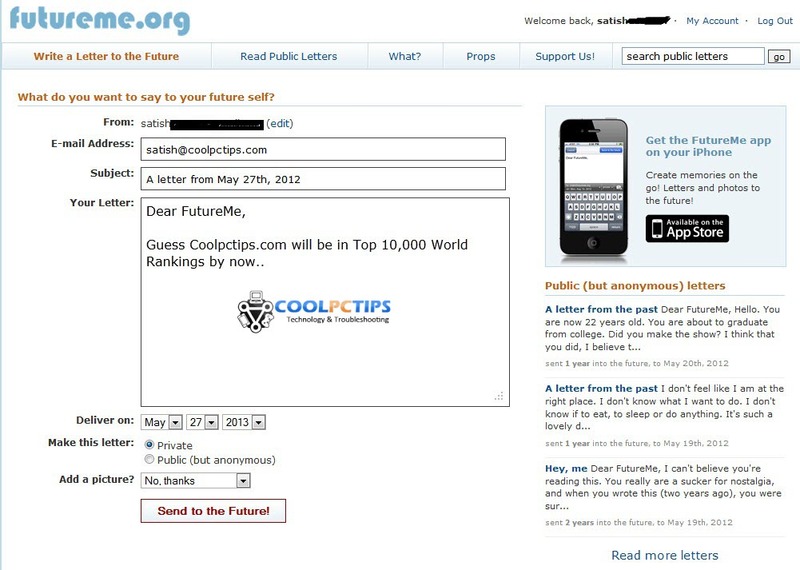 Recently a website called Futureme.org has launched a new service, where users can send emails to their future. This time capsule feature will allow users to send any kind of mail to any time in future. Futureme.org website will work like a simple web mail service. But will let the users to specify a date when the message should arrive. You can send any kind of mail. It can be a warning, advice, a happy moment or just a Hello from the past. Futureme.org is concept based on the principle that memories are less accurate then emails. How Exactly Can you Send Emails to Your Future? You can send future self some words of inspiration. Or just share some thoughts on where you will be by next year, what you will do in the next year at this time. And then the email will travel to your time at that time and deliver it to your Inbox. You may think, what if i change the email id or what if the email id is not more active. For this problem, the site has already notified the users to use a personal Gmail, Yahoo, Rediff, Hotmail kind of email address or other personal webmail address which is permanent forever. If you have changed the address of your future letters, you can change them via account management from the site. They don’t want you to send your work one or any official one, because you might have changed from the current job. The users have a option of going back into their emails ‘to the future’ and alter it to ensure the delivery. The site allows you to send emails privately and anonymously, but it will publish as ‘public but anonymous’ excepts of mails sent to various future selves. Many people have already sent their life sweet memories, sad moments and future goals already. What’s so Special about Futureme.org ? Many people are thrilled with the fact that how the mails written in past can appear in future. If its just 1 or 2years, we can remember them. But what if they are more than 8 or 10years? you wont remember nothing about it right?. Imagine you sending a mail to your future like around 6yrs: “I will be graduated by now and will be having a good job” This surprise email will popup your Inbox on the date set while sending. Because of some legal issues, You cannot send letters to future by naming other people. And ofcourse you can send advices to others via the site, but with serious restrictions. Imagine you love a girl and feel a little bit scared to tell her, This future email will allow you to remember to tell her your love. You can send a future email to yourself saying. Its a year now, and I should go tell her how i used to feel about her. If you are lucky, she will meet you, and who knows you may get married to the same person. You can send letters to others also, but you need to be a registered user. Like, you can tell the girl about your love in past towards her. You can set the future mail with a minimum of 30days from the current date your send. When the other person will get a email, it will specify that it was sent from your email address. But its not easy to send anyone a mail just like that. There are strict rules and restrictions to avoid spam, abuse and other types of unacceptable behavior. In case if you are worried whether you email will be sent to the correct recepient, you should make sure to confirm that the email address is correct. And also make sure that the email id is not under spam in your Inbox. You can also read millions of other public emails in the site anytime. You can find out more info at Futureme.org. You can also get this application to your iPhone. Hope you send your happy moments and inspiring words to your mail and enjoy the past moments of your life. If you have any queries on how exactly this works, you can drop us a line below. 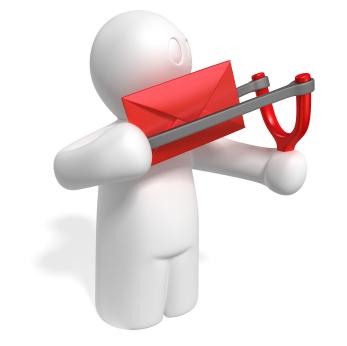 If you know about more tools to send emails to your future, let us know! Great info shared!!!!!! wow,nice way a suprise ourself. i know this things since a long time. You may like to try mytimejourney . It is a new protal, help user to send email or upload any file and send it via email to the future! Its free and secure. Hey ! this is a really interesting article. I was a big user of futureme.